There is only one true classic “Bred” Air Jordan 1, but as popular as the colorway is Jordan Brand has used it several different times on its Air Jordan 1 Mid rendition. 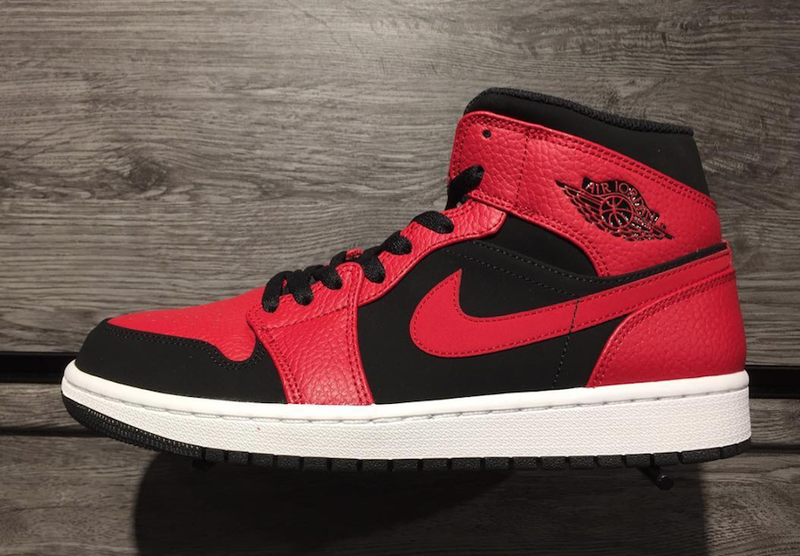 For the fall season, there will be another “Bred” iteration of the Air Jordan 1 Mid set to release. Dressed in the traditional color scheme. This version features a Black-based upper with Red tumbled leather overlays. Wings ankle logo, Jumpman tongue tag, White midsole, and a Black rubber outsole completes the design. Look for this Air Jordan 1 Mid “Bred” to release very soon at select Jordan Brand retailers and Nike.com. The retail price tag is set at $110 USD.